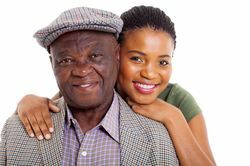 If you have a loved one who resides in a nursing home, you know that his or her safety is of the utmost concern. Unfortunately, some nursing home residents do not receive the care they need and deserve, leading to emotional suffering and physical injuries. If you suspect that your family member is being neglected or abused by nursing home personnel, the attorneys at Owens Moss, PLLC, can help. Our experienced team will thoroughly investigate all aspects of your case and determine the liable parties. Contact a nursing home negligence lawyer at our Jackson, Mississippi, office today to learn more. The primary cause of nursing home negligence is understaffing. When a facility is not properly staffed, or staffed with unskilled personnel, the residents often suffer from neglect. In these cases, residents might be completely neglected care, such as not being bathed often enough. It may also result in direct physical injury. For example, a single employee might attempt to lift a resident by themselves when the task requires two people. This disregard of proper safety practices can result in a fall or other trauma. In many cases, nursing home residents are unwilling or unable to ask for help, even if they are suffering emotionally or physically. If you have any suspicion at all that your loved one is not receiving the care he or she deserves, it is imperative that you contact an attorney immediately and thoroughly document everything related to their interaction with nursing home attendants. Our attorneys will help your loved one receive the compensation they are due for any emotional or physical strife due to negligence. Nursing home abuse may seem like an unimaginable occurrence to many people, but it happens all too often. It is very important that you look for any signs that your loved one may be experiencing abuse. Your loved one could be suffering from verbal abuse or physical abuse from a staff member or fellow resident. Physical abuse might include hitting or pushing, or it may be sexual in nature. It is important to listen closely to your loved ones and make note of any changes in behavior that may be signs of personal injury. They may express feelings of fear or sadness, a desire to leave the nursing home, an increasingly introverted attitude, and more. Bruising, rashes, sores, and other physical signs can also indicate abuse or neglect. No one should have to endure the physical, mental, and emotional results of neglect or abuse. When your loved one enters a nursing home, you are fully entrusting their care to its personnel. When this trust is broken through the actions of an individual, the failures of the facility, or a combination of the two, your family deserves compensation. The team at Owens Moss is ready to fight for your loved one so that you can begin healing. To learn more about how we can help you address the effects of nursing home abuse and neglect, contact our office today.